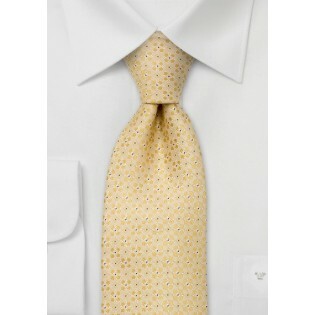 Spruce up your look with a palette of menswear savvy yellows with this handsomely designed, floral patterned necktie. The intricate design is handwoven into the textile using tonal yellows adding to the overall weight, drape and complexity of the accessory. Tonal yellows pair handsomely with medium gray suits as well as traditional khaki hued chinos. 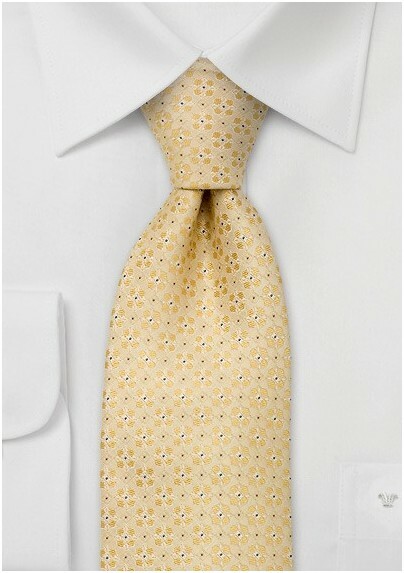 We recommend teaming this tie up with a light blue oxford, a soft navy blazer and dark denim jeans. Made from one hundred percent silk.